Crafty in Crosby: Singing Skull for Halloween! Ok, it's finally September and you know what that means - right? HALLOWEEN! Leigh and I are so excited and are already working on our party plan for this year. 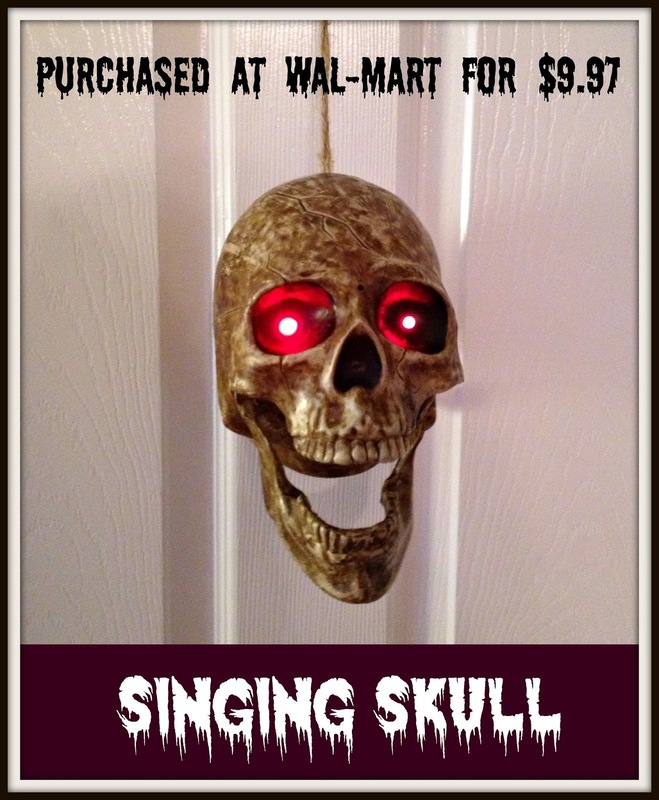 We walked in to Wally World this afternoon and found the coolest singing skull! I just fell in love with it and had to have it. It was only $9.97 and they only had 2 so I just had to buy it. Really, I did! Isn't that just the cutest thing ever? I'm usually not a big fan of all those singing and dancing decorations, but this one just makes me smile! He's motion activated and is going to be the hit of this year's Halloween Party!!! Keep Calm and Halloween On! Holly, I'm afraid I'm going to wear it out before Halloween! What a great idea for the bathroom.....hmmm...now we've got to go find another one! Wouldn't it be cool if you could rig something up so that it would go off when someone sat down! 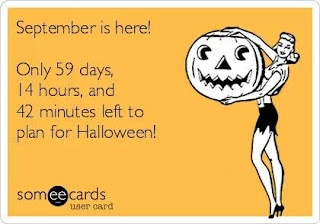 Ok, maybe that would just be mean, but it is for Halloween after all! Thanks so much for stopping by!